We serve a God who gives second chances. Maybe you know some of the pain of living with your mistakes. The truth is that we have all made painful mistakes and we live to regret them. The most painful regret is the regret of knowing that you are not living to the fullest potential of what God has called you to. The good news is that no sin is beyond the grace of God, you may live with the consequences of your sin, but in the midst of the consequences and the pain, God can use your life for His glory and purposes. Samson was a man who sinned willfully and frequently, living an immoral life. As we look at the final chapter of his life in Judges 16 we read the familiar of his fatal relationship with Delilah. When Samson finally gave in and told Delilah the secret of his strength, he was well aware of what he was doing. In verse 17 we read; “he told her everything”, he told her that he was a Nazarite and that he was specially called by God. Samson was tired of her nagging, but sadly he was also tired of the calling of God on his life. He was fighting against God’s will for his life and just wanted to be free to be like any other man. Sadly, in his attempt to be free from the calling of God on his life, he suffered a far worse imprisonment. The same happens to us when we know the will of God for our lives, but decide to do our own thing, resulting in pain, suffering and imprisonment. The Philistines began to celebrate and all their rulers gathered to offer a sacrifice to their pagan god Dagon. All the while though, Samson’s hair began to grow. The Philistines were not concerned because they knew that Samson’s power was gone, they knew that Samson’s God had rejected him and left him. They could not possibly fathom a God who would give a second or third or fourth chance. What kind of god forgives? Only the one true God full of grace and love. 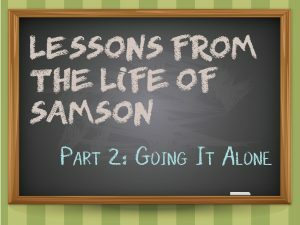 Samson realizes how he has neglected to use the gift God had given him for the Lord’s purposes. Every turn of the grinding wheel must have been painful for Samson as he had time to think of his squandered life. Samson prays in verse 28 and asks God for one more chance, one more time to have his strength back. Sadly, even in this prayer, Samson’s motives are impure, he doesn’t ask God for strength to give glory to the one true God, he asks for strength for revenge. 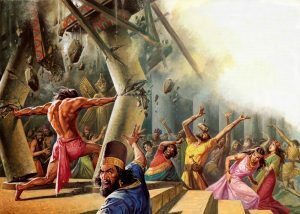 Revenge is a terrible thing and it is the one characteristic of Samson’s life that had plagued him. In spite of Samson’s motive, God hears his prayer and gives him back his strength. In his death Samson deals a devastating blow to the Philistines, all their rulers were killed, the nation was thrown into disarray. Samson made a mess of his life and this would be a hopelessly tragic story if it just ended there – but it doesn’t. We find that over in the New Testament that Samson’s name is mentioned in Hebrews 11 verse 32 among the heroes of the faith. That’s a surprise! 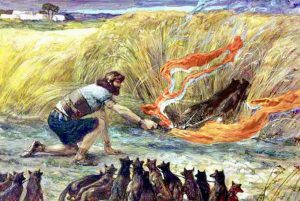 Samson was a man of faith and in spite of all his mistakes and the chaos of his life, he pleased God by his faith in his final hour. This is a comforting fact, because God can take a person who made mistake after mistake and still use him or her. If God only used people who were perfect, nothing would ever get done. God uses ordinary people; those who have weaknesses and have failed in life. There are no perfect Christians, only broken and humble followers of Jesus. Maybe you feel that you’ve messed up your life so badly that God will never use you again. God never gave up on Samson and He has not given up on you. God sees your potential and He remembers why He made you, you were created for great things. What should you do if you have made some major mistakes in life? Exactly what Samson finally did, turn your life over to the Lord. Give Him all the pieces of your brokenness and allow him to rebuild your life to be something that will be to his Glory. Only God knows the greatness and potential in your life, but you’ll never bring it out on your own, He must do it in His strength. Allow him to have full control over your life today. What about God’s call on your life? Is it being fulfilled, or is it sidetracked by some sin or distraction? Are you living with the regret of missing the mark, living in sin and avoiding the calling of God on your life? If this is you, you need to take that first step in acknowledging that you have been trying to do things your own way, repent of your sin and commit your life completely to the perfect will of God. Ultimately this leads to a life of peace and fruitfulness. I am sure most of you have at some time or another been called upon to lead in your life. It goes without saying that in order to be a leader, you need to have people following. A natural leader is one who, when he/she stands up and says; “let’s go”, people follow. Leaders lead, because they have a cause, there is something they are passionate about and rally others around that cause. Sociologists tell us that this generation – the millennial generation are attracted to causes. Being a Christian means that you are called by Jesus to the ultimate cause, the cause of saving souls for eternity. There is no greater cause. Quite often this is the most unpopular cause, if you truly obey Jesus, and put into practice what the Word of God teaches us, you will be in the minority, you will be going against the stream of culture. Unfortunately, even in the church if you take seriously what the word of God says, you will incur opposition, people will be provoked by your passion and many will push back, because the cost is too high. Are you willing to give your life for an unpopular cause? Sampson was unconventional, and he did not follow the rules at all. He was a judge, a tribal leader over Israel for 20 years, but we don’t read that he rallied an army, he seldom had the support of the Israelites, in fact they opposed him. He was a loner and a rebel. But for all his faults, Samson saw the real enemy. Samson saw that the people of Israel were apathetic and had lost their way. They had not taken the land as Joshua had instructed, and were comfortable living in compromise with the Canaanites and the philistines. Samson was a one-man army using unconventional methods, as a result even his own people didn’t approve of what he was doing. You can read some of his exploits in Judges 14 and 15. Judges 16:24 indicates that he had done many more feats than those listed in these two chapters, feats that had aggravated the Philistine people. As we look at Samson’s life, one gets the impression that he was a fun-loving man, with a sense of humor not taking life too seriously. He certainly didn’t take his calling seriously, he paid little attention to the requirements of being a Nazarite. His strength was probably unlike anyone who has ever lived. The speed required to catch the foxes or jackals, and the strength to carry the city gate and part of the wall for miles were supernatural. For 20 years, he fought a lone battle against the philistines and didn’t rally the children of Israel around the cause. 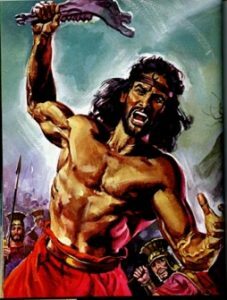 Samson directed his attacks against the Philistines who were slowly taking over the land, infiltrating the culture, through intermarriage and trade. 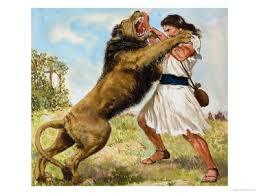 The Israelites did not see what was happening but Samson did and he fought against it. God had appointed Samson to be the man to begin the process of freeing the nation from the Philistines. Sometimes the enemy encroaches on us imperceptibly and slowly, we need to be alert to recognize the danger. So who is our real enemy? Christians are known to fight for causes, and all of these are issues that need to be resisted, I am not advocating that we passively allow our nation to deteriorate into social atheism. However, I believe that sometimes we pick battles that God did not intend for us to pick. We need to ask God for wisdom and for direction to identify the real enemy (See Ephesians 6:12). Too often we see people as the problem, but Satan is at work, developing his schemes to steal kill and destroy. Jesus said in the sermon on the mount; “You are the light of the world”, we need to be a people of the light, shining the light in dark places, not condemning sinners but proclaiming the Gospel in love allowing the Holy Spirit to convict people of their sin. Confront evil by shining light. What I mean by shining light, is not simply doing good things for people, we need to be presenting the Gospel message, pointing people directly to Jesus as the only way the truth and the life. 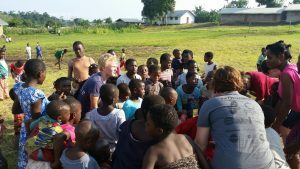 Many mission organizations and ministries I have come across have noble intentions, they are helping educate the illiterate, helping to bring fresh water to sick children, building houses for the poor and needy, all of these are necessary and we must support them (read Proverbs 19:17 and Isaiah 58:10). But helping someone out of poverty, or giving them a new skill that will help them in life is a temporary measure if we do not lead them to a saving knowledge of Jesus Christ (see Romans 10:13-14). We need to look at the temporary pain and suffering in light of eternity. Jesus is the only way of salvation. If we help people, pat them on the back and hope that by our actions, they will find Jesus, we are doing them a great disservice. I recognize that this is not a popular message, it is counter culture, our culture celebrates the sports star who goes and helps the African village he comes from. Our culture celebrates the movie star who takes a child out of an obscure village and gives the child a “better” lifestyle with every conceivable trinket and gadget. This is an unpopular message it is counter culture. 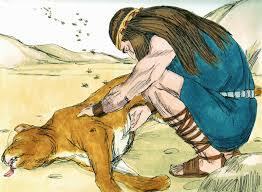 It is similar to what Samson did, he provoked the enemy in order to wake up his fellow countrymen. What Samson did was not popular but he highlighted what was really going on. 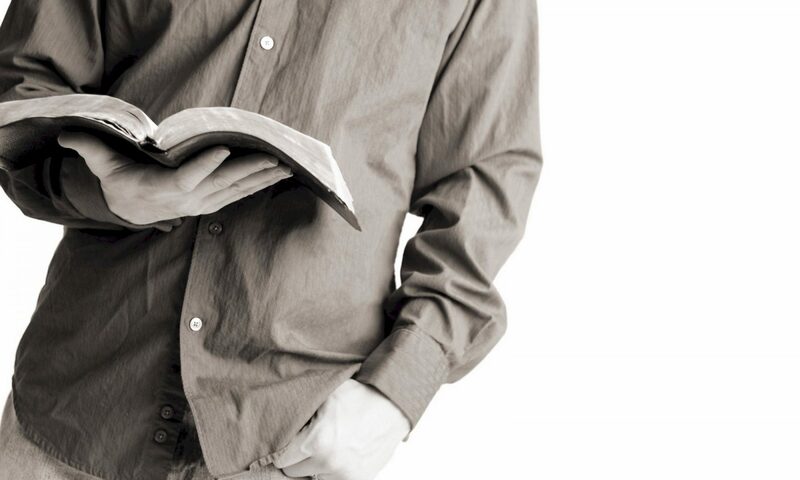 As Christians let’s begin to think differently about the ministries we do. 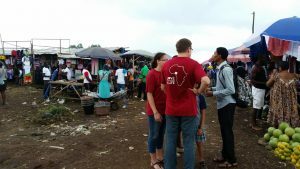 Do we share the Gospel? Or do we do good things, with the hope that people will one day think kindly of the church. The reality is that there is only one cause that is ultimately worth our lives and that is the Great Commission that Jesus gave us in Matthew 28:19-20. That is a cause worth dying for, that is a cause that will demand a cost from us, possibly even persecution. But this is the only cause that has eternal rewards. Let us be a Great Commission church, a church that is shining the light of Jesus in our community. Do you know who you are? In answer to that question most would answer by stating where they were born, what do you do for a living or how many children or grandchildren you have and if you were brave, you might say your age. We all have an identity, we all have identifiers that we tell people in order for them to know about us and possibly categorize us. But the truth is, this not how I am defined in the sight of God. Christians face an identity crisis in the modern world. I believe that we struggle simply because we don’t know who we are. Samson the Judge was one person in the Bible who did not have a clear understanding of his identity, and as a result he missed out on living to his fullest potential. This period of time in the nation of Israel is called the period of the Judges, roughly 1375 BC to 1050 BC. Joshua died and left the nation with two instructions, defeat the remaining Canaanites and obey the law of Moses. The children of Israel do neither. The begin to relax and integrate with the local tribes and adopt their religions. During this period there began a familiar cycle; the Israelites rebelled against God, God punishes them by sending oppressive nations to rule over them, Israel repents and cries out to God for deliverance and God sends a hero, a mighty leader who stops the oppression. That is the period of the judges, the time between Joshua and the anointing of King Saul. Sampson was the most famous judge who was appointed by God to be a Nazarite. A Nazarite was someone who takes a vow of consecration and dedication to the Lord. The Nazarite had three requirements, never to eat or drink anything that came from a grape vine, never to cut their hair, and never to be in the presence of a dead body. The purpose of the Nazarite vow was for a period of consecration, in order to seek the Lord. Sampson on the other hand was to be a Nazirite from birth, for all his life. He didn’t have a choice in the matter, he was a special child. Sampson’s parents were unusual in their dedication and commitment. They were godly people who prayed and understood the importance of the sacrificial system. (Read the Prayers of Manoah in Judges 13:8 and 12). 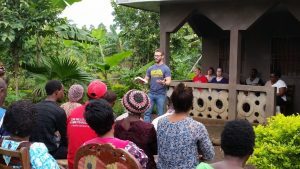 Manoah had faith that what God told him was going to happen, and he also knew that he needed to hear from God the instructions he needed to raise up this child. In a time of spiritual darkness, God found a couple who were faithful to Him. Sampson was being born into a good home. In addition to this, the promise of the Angel of the Lord in verse 5 says that: “He will take the lead in delivering Israel from the hands of the Philistines.” It was a promise over his life even before he was born, he was destined for greatness. So much potential was promised and early in his childhood we read in verse 24; “and the Spirit of the Lord began to stir him while he was in Mahaneh Dan..” He was destined for a life of unlimited potential, unfortunately he did not keep the requirements and he failed to live up to his potential. His poor choices limited his potential. It is the same with us, the choices we make in life either fulfill the potential we have in Christ, or they hinder the potential we have in Christ. The truth is that when you and I became followers of Jesus Christ and we are filled with the Holy Spirit, our potential changes, we become people of unlimited potential. Getting back to that question, do you know who you are? Imagine what would happen if we truly got this, if we truly grasped who we are as followers of Jesus. Too many Christians are walking around in fear, anxious of what might happen tomorrow, this is a symptom of mistaken identity. We fear because we don’t know who we are, we fear because we simply don’t grasp the awesome power of God. We need to walk as Children of the King. When you and I become followers of Jesus Christ, we begin a new life, we are born again. No matter how old or young we are, we begin a new life of unlimited potential. Sampson began life with unlimited potential, but as we will see next week, he made poor choices and threw away that potential. Maybe you realize that you have not lived up to your potential as a Christian, you are still living for yourself, making poor choices, not trusting God with your life and your future. You realize that you have an identity crisis, and need a fresh understanding of what it means to be a child of the King. A prince or a princess in the kingdom of God. Pray that God will give you a fresh revelation of who you are, and read the promises found in the Word of God. Read: Phil 3:20, Phil 4:13, Phil 4:19, Col 1:11, Col 1:22, 2 Timothy 1:7, John 17:14, 2 Peter 1:3, Romans 8:1, 2 Corinthians 5:17 and Galatians 5:1.